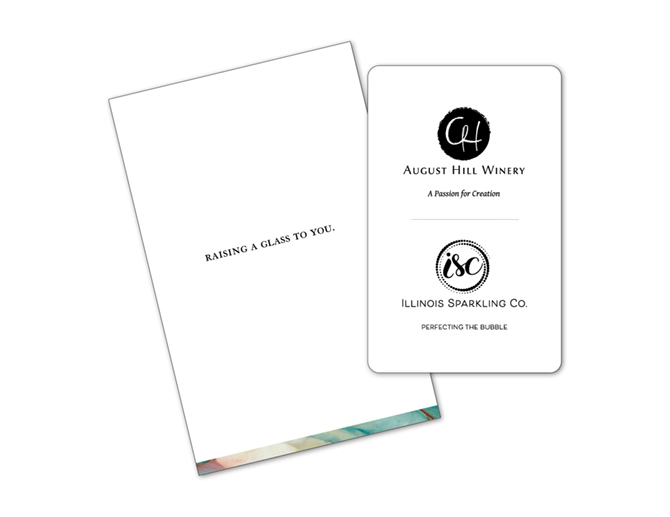 Gift Cards - Illinois Sparkling Co.
An ISC gift card is a great gift for any occasion—from everyday celebrations to marking life’s milestones. The lucky recipient can use the gift card online or at the Tasting Room for everything from a bottle of wine to an event ticket. Select an amount below to purchase a gift card online. To purchase a different amount, visit the Tasting Room or give us a call at (815) 667-5211. To enjoy this gift, use this Gift Card just like cash. This card may be used for making purchases online or at the August Hill – ISC Tasting Room. Funds may also be added to the card at the Tasting Room. Except where required by state law, this card may not be replaced if lost or stolen and cannot be redeemed for cash. Use of this card constitutes acceptance of these terms and conditions. For more information call 815.667.5211.